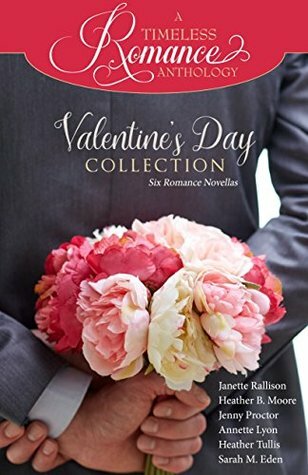 This collection includes six contemporary romance stories all revolving around Valentine's Day. These surely are not your typical Valentine's Day romances. They all have a sort of twisty element to add some smiles and fun. I think my favorite was A Brush With the Law. It had me shaking my head and cringing in embarrassment. (I sure hope the author didn't draw off real life experiences for this story!) It made me laugh though and I love that! This is the perfect week to pick up this book. You can read a story each day leading up to Valentine's Day or you can do a binge read, like me. Either way is happy.